I’m not much of a baker or chef in the kitchen myself, but recently this summer I have started to dabble in those arts a little more then I have in the past. Again, I am no expert but my goal has been to create meals, desserts, and snacks that are not only pleasing to taste buds, but that are as healthy as possible. One of the easiest ways to make a meal or baked good healthier is to choose the correct oil to cook with. Some of these cooking oils and butters are just filled with ingredients that can take away some of that nurtious value we try to create in our foods. So why don’t you want to smother that pan with tons of butter lard or shortening? 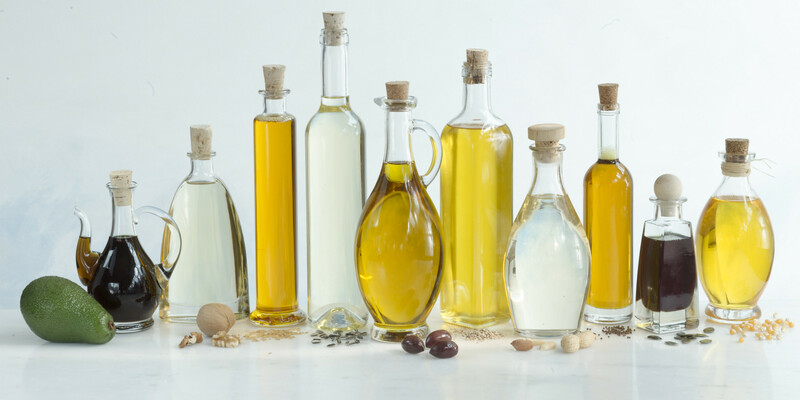 Simply put, those types of cooking oils are filled with unhealthy fats. We all need some sort of fat in our diet, but not the fats that are considered saturated fats. Saturated fats have been linked to high cholesterol, and increased risk of heart diseases. It is a true statement that some dishes taste better when cooked in butter and I am not suggesting that we should rid our diet of it, but limit when you can, and using other cooking oils in your dishes and baked goods is a great way to do that. So what oils should be used instead? Oils that contain polyunsaturated fats and monounsaturated fats are the way to go for your daily uses of cooking and baking. Polyunsaturated fats can be used to help improve heart health and can be used for anti-inflammatory reasons. These poly-unsaturated fats/ oils are packed with the benefits of Omega-3 and Omega-6. Monounsaturated fats are also great for promoting heart health. They have been proven to help improve blood and cholesterol levels. Sometimes however, it is hard to know which oils work best for certain types of dishes. Whether you cook and bake often or infrequently, your kitchen should be packed with a variety of these beneficial oils so you’re never stranded without the proper one! Take a chance and experiment! Try using these oils to create tastier and healthier foods to enjoy with your friends and family!